Dr. Frasier couldnt save the gunshot victim on her front lawn. Now shes fighting for her own life. It began as a quiet dinner party honouring Dr. Shannon Frasiers colleague, but became a nightmare when a man was shot on her lawn, reviving emotions from a similar episode a decade ago. Then a midnight call from her sister, Megan, causes Shannon to fear that her sister is on drugs again. Her almost-fiancé Dr. Mark Gilberts support only adds to Shannons feelings of guilt, since she cant bring herself to fully commit to him. She turns for help to her pastor-father, only to learn that hes just been diagnosed with leukaemia. Critical Condition by Richard L. Mabry was published by Thomas Nelson in April 2014. 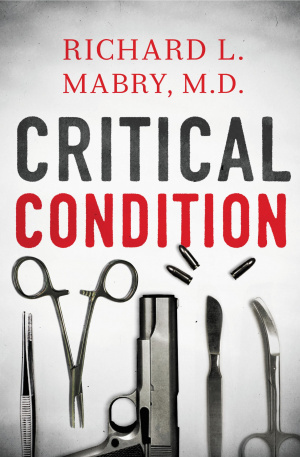 The ISBN for Critical Condition is 9781401687403. Be the first to review Critical Condition! Got a question? No problem! Just click here to ask us about Critical Condition.